Interested in steel garage buildings for repairs and auto storage? Find the best metal garages near you and save money. Snow, hail, and bad weather. They’re a real pain when they fall on your vehicles. Not only that, they can cause real damage to your automobiles. And anyone who doesn’t own a metal garage knows what it’s like to deal with these unpleasant weather. If you don’t have a steel garage building, it might be time to rethink building one. Garages offer a ton of benefits. They give you extra storage, protect your car from mayhem, and keep your car warm or cool depending on the weather. And a steel garage building is a great option for your new garage. Here’s everything you need to know about steel garage buildings. What Are Steel Garage Buildings? Steel buildings are usually made entirely out of metal. Meaning the support features and the outer siding is metal. You can have a steel garage made with a wood frame and steel siding too. But most of the are prefabricated with steel supports. They come in a variety of sizes and shapes. And the options to customize the look of the building are endless. Steel building manufacturers offer many siding colors, window types, and other decorative options. A steel building works in place of almost every other type of building. They are a great way to build a lot of space for less cost. This comes in handy for large commercial and industrial warehouses. Steel buildings are also great for agricultural use. They can house animals and crops without having the maintenance of a wooden barn. If you’re looking to put a workshop on your property, a steel building is a way to go. They’re designed to fit your needs and are built as big or as small you want. And people even use steel buildings as their home. A steel home is a great way to combine a large shop and garage with your living space. The cost of your steel garage depends on what you’re looking for. But in most cases, steel buildings are cheaper to build than wood-frame buildings. Metal garages are more affordable and more durable than wood. And they often come in a prefab option. Meaning you can go with a design that’s already made. A prefab garage can save you a ton of money over a custom-built garage. If you’re looking for a garage that is tailored to your needs, steel is the way to go. 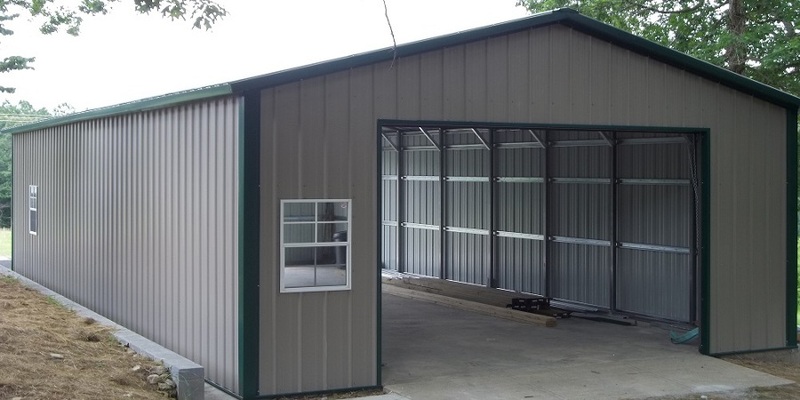 Steel garage buildings are more durable and more affordable than wood. Steel buildings mean less maintenance than wood. And they don’t have the environmental impact of cutting trees. Plus, they keep your vehicles and tools safe while adding value to your property. For more information on the many options available with steel, visit Steel Buildings Zone! We’d be glad to help you compare prices for your steel garage building.